How much is Melissa Villaseñor Worth? 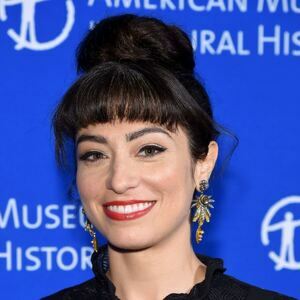 Melissa Villaseñor net worth: Melissa Villaseñor is an American actress and comedian who has a net worth of $1.5 million. Melissa Villaseñor was born in Whittier, California in October 1987. She is best known for being a cast member of Saturday Night Live starting in 2016. She has performed several impressions on Saturday Night Live as well as on America's Got Talent and First Impressions in addition to on her YouTube channel including Barbara Walters, Natalia Portman, Owen Wilson, Jennifer Lopez, Hillary Clinton, Gwen Stefani, Sia, Sarah Silverman, Wanda Sykes, Lady Gaga, Kathy Griffin, Ariana Grande, Celine Dion, Alexandria Ocasio-Cortez, and more. Melissa Villaseñor has also appeared in or provided voice work for other films and episodes of TV series including The 41-Year-Old Virgin Who Knocked Up Sarah Marshall and Felt Superbad About It, Family Guy, Adventure Time, TripTank, F Is for Family, OK K.O.! Let's Be Heroes, Crashing, Barry, and Ralph Breaks the Internet. She was nominated for Behind the Voice Actors Award in 2018 for Breakthrough Voice Actress of the Year and for Best Vocal Ensemble in a New Television Series. Saturday Night Live Salary: There are 21 episodes in a season. First-year cast members make $7,000 per episode, or $147,000 per season. Second-year cast members make $8,000 per episode, or $168,000 per season. If a cast member makes it to their fifth season, they make $15,000 per episode, or $315,000 per season. The highest salary that can be reached at SNL is for people who've been there the longest or are the most important to the show. They make $25,000 per episode, or $525,000 per year. 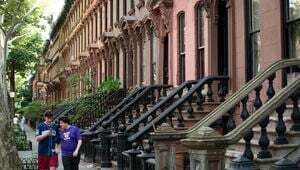 It is likely that Melissa Villaseñor's salary is on the lower end of that spectrum.